This summer, Westside Garden Plaza resident Mina Collier had her wish granted. 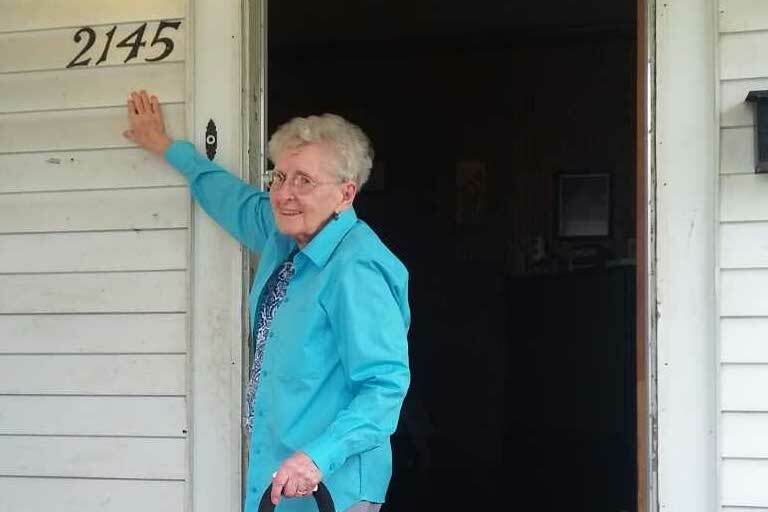 Mina is 93 years old, and her wish was to visit the home in Terre Haute, Indiana, that she was born and raised in. The house was built by her grandfather, and her entire family had lived there, including Mina’s two sisters, Dorothy and Wilma, who were both able to accompany Mina for the wish-fulfilling visit. In that time, Watson and her team have made a lot of wishes come true for their residents. They have arranged a hot air balloon ride for a resident losing her eyesight, took a veteran to fly a glider plane and worked with FedEx to give a resident who was a pilot in World War II time with one of its pilots in a cockpit of one of its planes. They have taken a resident to ride a donkey, arranged for a resident turning 90 to ride a Harley Davidson and granted many more wishes! Making these wishes happen isn’t easy. To help Mina return to her childhood family home, she first had to find it! Getting as much information from Mina as she could, she called the Terre Haute Chamber of Commerce and explained what she was trying to do. The Chamber kindly helped Watson learn the current homeowner’s name – Mr. Burns. They also helped her get the exact street address, but she had to use a telephone directory to get the phone number. The next day, Mina spoke with Mr. Burns on the phone, thanking him. A date was chosen for the home tour, and the timing worked out perfectly – Mina’s sister Dorothy was visiting from Florida. Mina’s other sister, Wilma, joined them, and they headed to Terre Haute. Mr. Burns was a gracious host and gave them a full tour of his home. 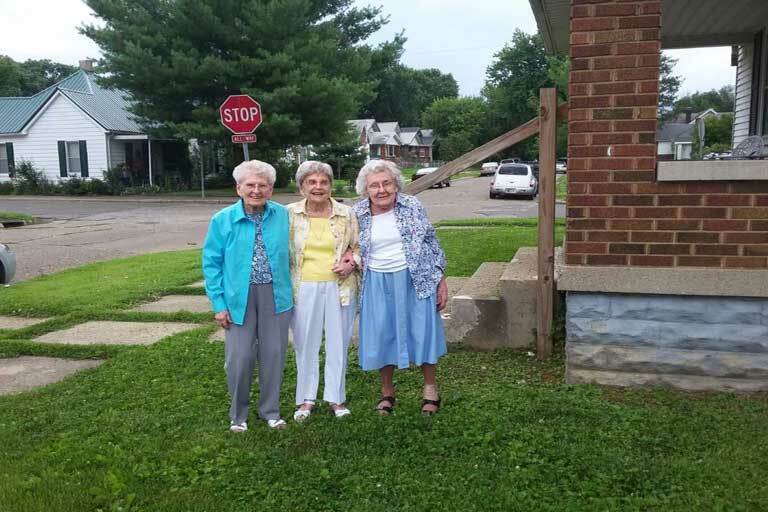 The three sisters even posed in the front yard for a photo that mimicked a picture they took in the same spot when they were small children. That joyous wonder is why Watson and her team ask residents every day if they would like to Make A Wish.